‘Harambe Nights’ to start on June 7th at Animal Kingdom! Animal Kingdom comes to life this summer as Walt Disney World presents Harambe Nights. This special ticketed event is a combination of dinning, celebrating the release of the Lion King, and a special 55 minute show in the new Festival of the Lion King theater in Africa! Orlando Fun and Food got the release from Disney and we wanted to pass it along to our readers! Disney made a ton of announcements this week, so stay tuned for more! 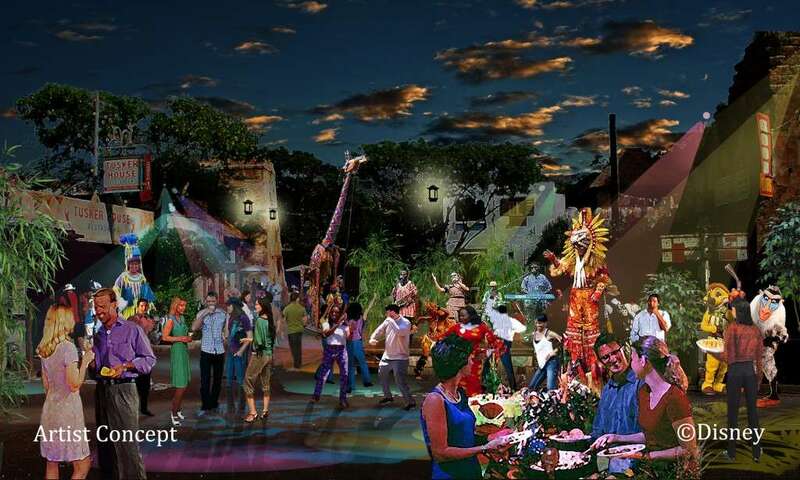 Harambe Nights, a dazzling theatrical production based on the beloved Disney classic film, “The Lion King,” and an energetic street party with gourmet dining will debut in June 2014 to celebrate the 20th anniversary of the Oscar-winning movie, it was announced today. Previous Post Cocina 214 in Winter Park to have amazing block party for Cinco De Mayo!